In controlled doses, stress can improve performance, but left unchecked, it can create feelings of fatigue and helplessness, and lead to a variety of health complications. 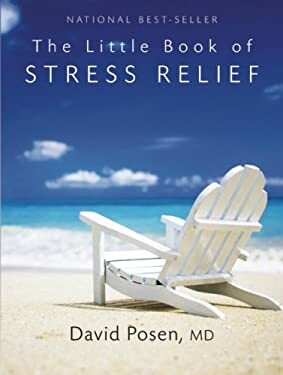 In this timely book, Dr. David Posen shows readers how to regain control of their lives and achieve a satisfying work-life balance by overcoming stress. Dr. Posen shows readers how to become aware of stress-inducing behavior, make informed choices, and give themselves permission to make changes in their daily lives. In 52 short sessions, the author isolates specific causes of stress and provides detailed "prescriptions" for overcoming them. He includes easy activities and exercises to help with everything from getting enough sleep to overcoming procrastination to perfecting the art of prioritizing. The book also explains how to avoid taking on other people's stress. Dr. Posen's persuasive style shows how to make those small daily changes that together can have a profound positive effect on the quality of life.